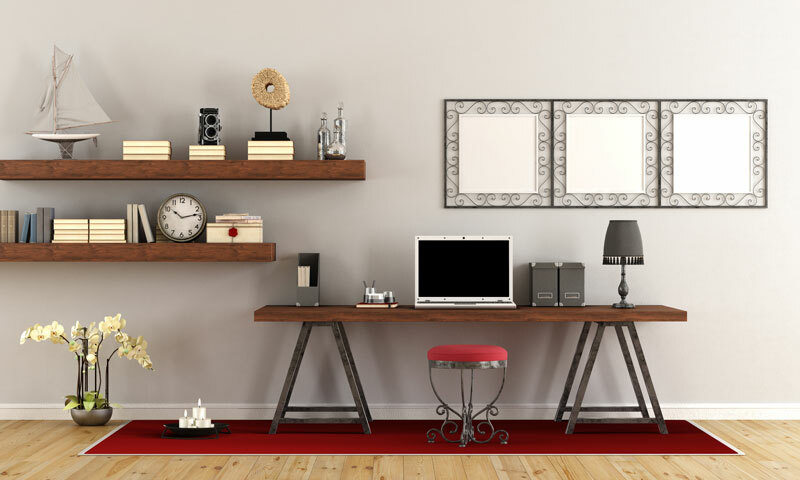 Home > Article Archives > Keep Your Home Office as Tidy with These Tips for Get Organized Month! Keep Your Home Office as Tidy with These Tips for Get Organized Month! Check out these tips to get your home office organized. Good organization helps to keep you productive. That way you’re more focused on what you need to get done and less worried about where you last saw that important document. However, keeping your home office organized can be difficult. Get your home office as tidy as possible during Get Organized Month! Check out these tips to help you organize your personal workspace. When you’re in a rush, your desk becomes like an extra drawer. Papers pile up along with coffee mugs, and office supplies, and soon your desk is a mess. Keep your desk tidy by keeping your desk clear of any clutter. Stick to the essentials so that you have the tools that you need easily accessible, yet your desk isn’t riddled with knick-knacks. As a busy individual, your inbox is constantly full. While it’s easy to quickly respond to your emails, it’s easy to let your emails pile up. Before you know it, you’re stuck with thousands of emails to weed through. Take time to organize your inbox and then stick to a routine to keep it that way. That way you don’t have to stress about a messy inbox. When it comes to filing documents, you can neatly keep them in a filing cabinet to save space. However, you still have lots of papers to sift through when you need to find something. Digitize your files so that you have more room in your home office. Tidy up your office for Get Organized Month! Keep your office organized to get your work done quickly and efficiently. As you organize your office, organize your personal insurance coverage. For all your insurance needs, contact the professionals at The Schwab Agency, located in Colleyville, Texas.